Through the West Trail Study Area Plan, Open Space and Mountain Parks department (OSMP) and the Open Space board of Trustees (OSBT) are in the process of developing recommendations for the OSMP lands that comprise the mountain backdrop west of Boulder. 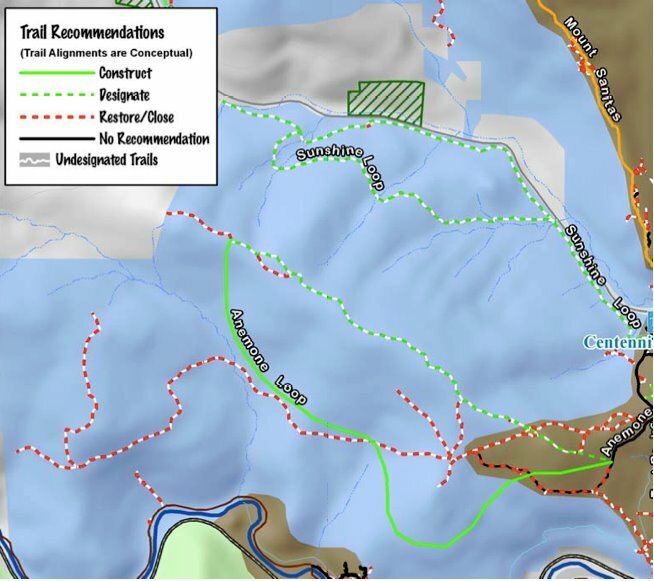 Under consideration is the possibility of allowing mountain bike access in the Anemone Mountain area west of the Red Rocks and Settlers Park. 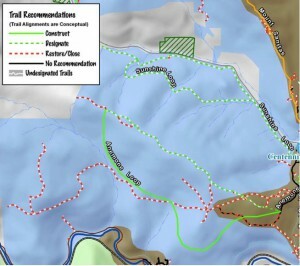 The Open Space Board requested that OSMP staff provide them additional information and analysis about allowing mountains bikes on a loop trail proposed for the south side of the Anemone. To learn more about this issue follow this link to the OSMP West TSA web page. Information on the Anemone Loop trail is in the West TSA Draft Plan available on the website. You can offer comment on this item to the OSBT and staff by clicking on the “Get Involved” link on the above web page, or by calling Dean Paschall, OSMP Communication and Public Process Manager, at 720-564-2050. OSMP releases their final draft plan on February 18, so for your comments to be included in the plan OSMP needs that input before February 16. OSBT will take comments until their scheduled OSBT meeting on February 23 at the City Council chambers when they will consider this issue, receive final public comment, and make a recommendation to OSMP staff.